Situated in Katunska nahija, Čevo has the biggest area in the region. It has been mentioned in written resources of Kotor since 1335. It extends to mountain Kopitnik in the north-east, to Papratni Do in the west, to the village of Križev Do in the north, and east of Križev Do, in the far north-east, it extends to the village of Kuti. In the south-west edge of the Čevo field there is small the village of Zaljuće. 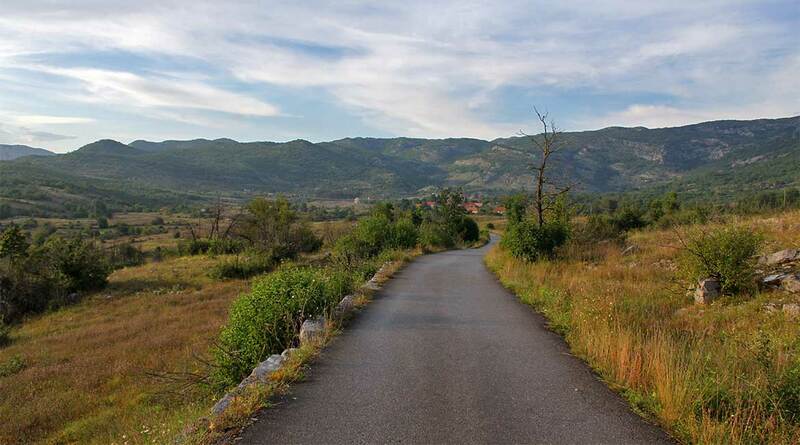 It is around 27 kilometer far from Cetinje and 57 kilometer from Podgorica. Montenegrin Queen Milena Petrović-Njegoš, born Vukotić (1847-1923), the wife of King Nikola, came from Čevo. She married Nikola when she was only 13, after he unexpectedly came to the throne in 1860. Their marriage was a matter of deal between Nikola’s father, Duke Mirko Petrović, and Milena’s father, distinguished Duke of Čevo, Petar Vukotić. They got twelve children who, under historic circumstances, could not inherit their throne in Montenegro. After Nikola’s death in emigration in 1921, Milena was the last nominal ruler of Kingdom of Montenegro. Her nephew Janko Vukotić (1866-1927) was a distinguished Montenegrin serdar, warrior and general. After he completed a military academy in Italy, he gradually climbed the hierarchical ladder. He became a brigadier in 1902 and in 1910 he commanded the I Montenegrin Division. He distinguished himself in battles during the first and second Balkan Wars, and in the World War 1 he was the chief of Montenegrin army headquarters and the commander of Herzegovina Division and Sandžak Army. In 1997, a monument of Janko Vukotic was built on the central square in Mojkovac. He was the only commander who received three Montenegrin and Serbian medals of highest rank at the same time. It is interesting that in all battles his closest companion was his daughter Vasilija, who had previously completed the Institute of Russian Imperial Family in Cetinje. Holiday home Vujic – Offering barbecue facilities and a garden, Holiday home Vujić is situated in Dide, 12 km from Lovcen National Park. Guests staying at this holiday home have access to a terrace. The holiday home consists of 1 separate bedroom, 1 bathroom with a hair dryer, a seating area area, and a living room. There is a dining area and a kitchen complete with an oven and a fridge. If you would like to discover the area, hiking is possible in the surroundings. Facilities : Free parking, Pets allowed, Outdoor furniture, Terrace, BBQ facilities, Garden, Mountain vieuw, Ironing Facilities, Wake-up service, Board games/puzzles, Fireplace, Restaurant, Hiking.